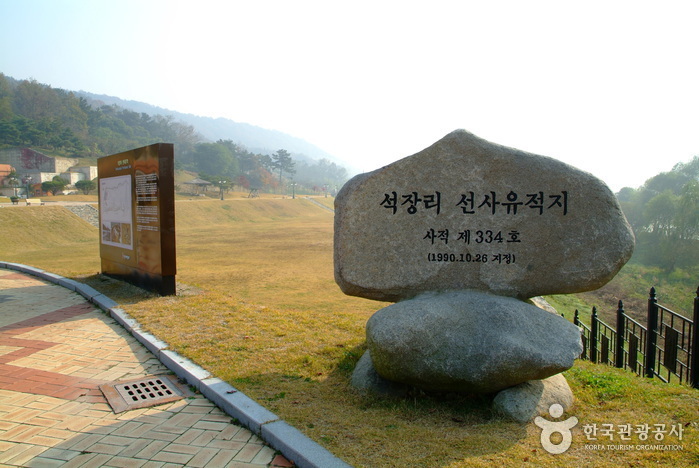 The Tomb of King Mureong is not open to the public. 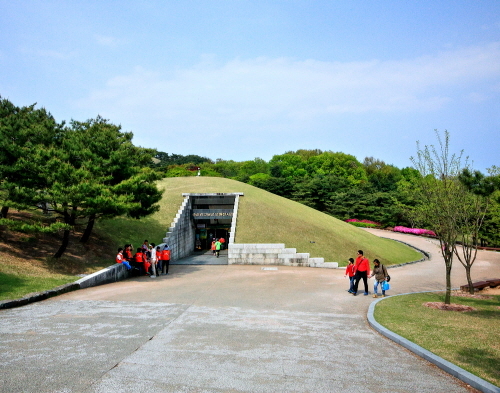 Visitors may enter the replica built in front of the tomb. 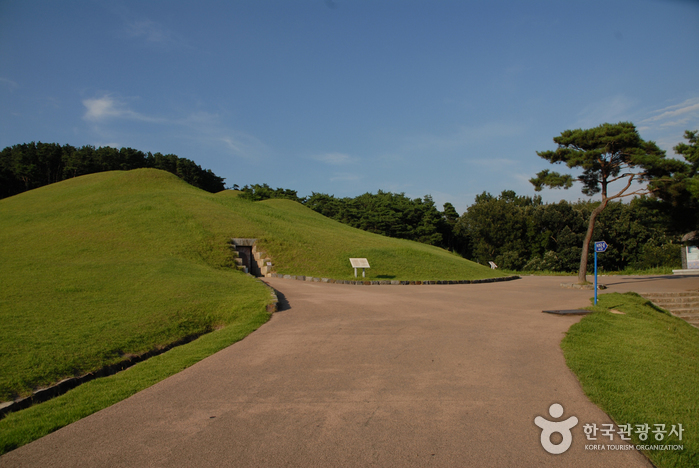 The Songsan-ri Tombs and Royal Tomb of King Muryeong (reign 462-523) contains representative relics of the Baekje period (234~678). 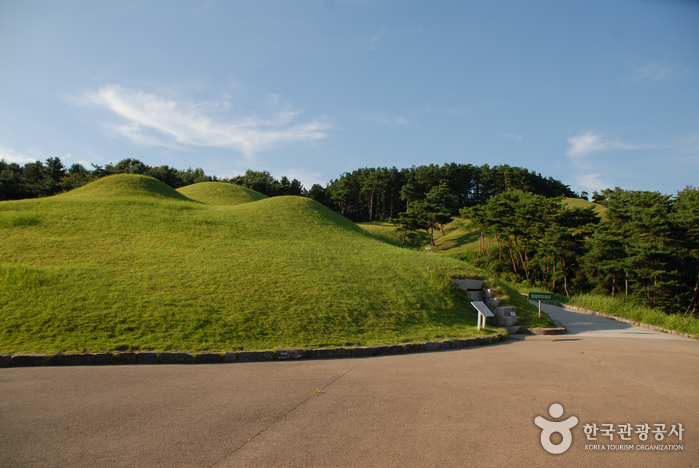 The Songsan-ri Tombs contain the graves of kings from the period when Baekje's capital was Gongju, and it is believed to contain 17 such graves. Only seven graves have been discovered so far. 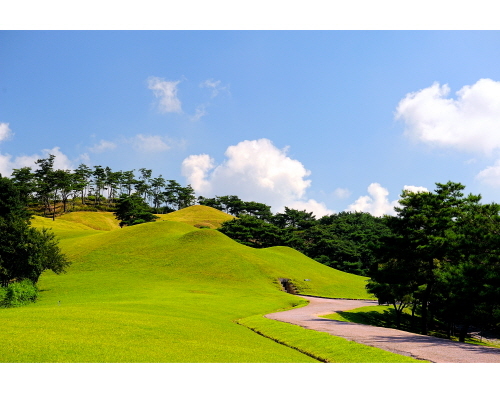 Main attraction of Songsan-ri Tombs is the wall painting drawn on the number six tomb – it is the only art of its kind in the world, created from the way the bricks were laid during the creation of the wall. The tomb is shaped like a long tunnel with the top rounded like a dome. 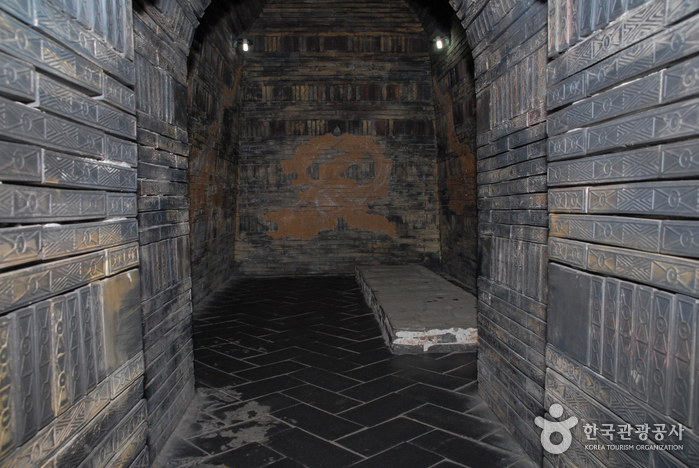 There are pictures of fire-breathing dragons on the tomb. 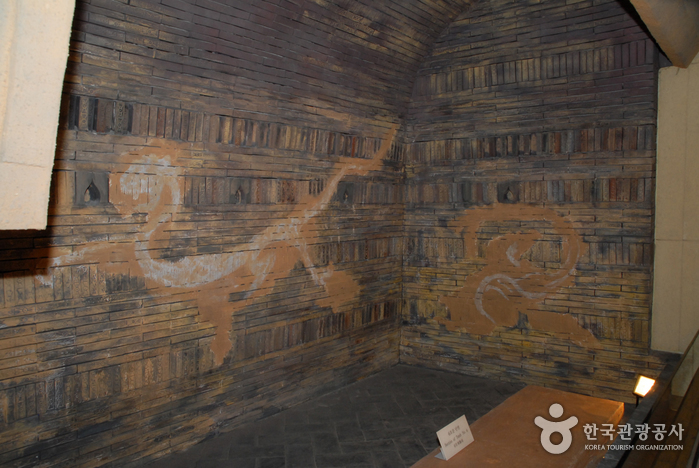 Only the parts of the wall where the pictures were drawn had mud coated on with four symbols – blue dragon, white tiger, red peacock, and black turtle. 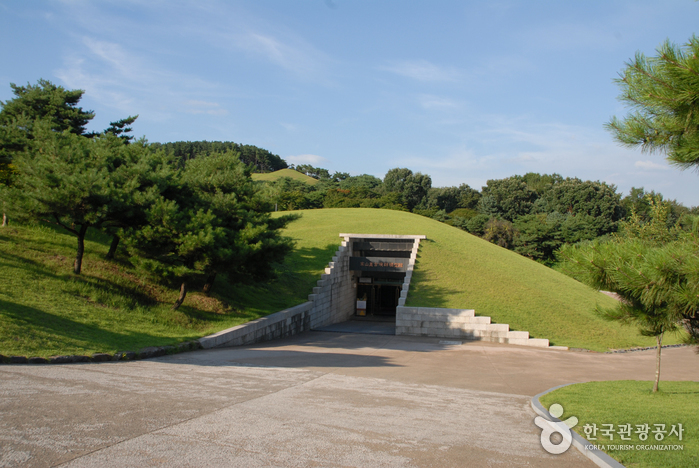 The popular Tomb of King Muryeong is the 7th tomb, and it is the resting place for Baekje's 25th King Mu-Ryeong and his queen. This tomb was discovered accidentally when pipes were being installed to prevent tombs number 5 and 6 from being flooded. 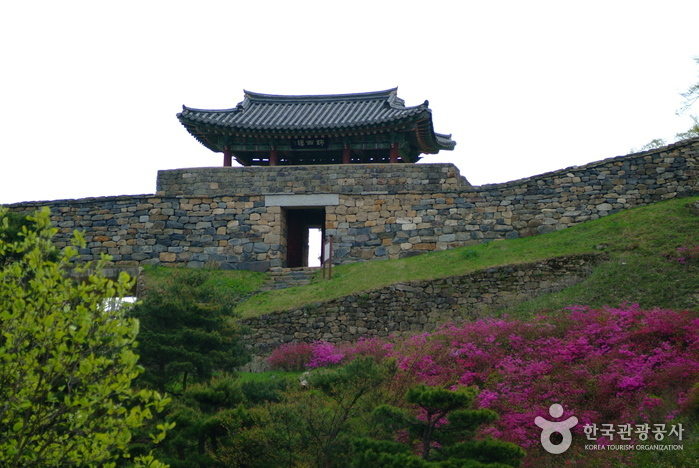 Tomb of King Muryeong was found to be unusual in the way it was built and what it contained. 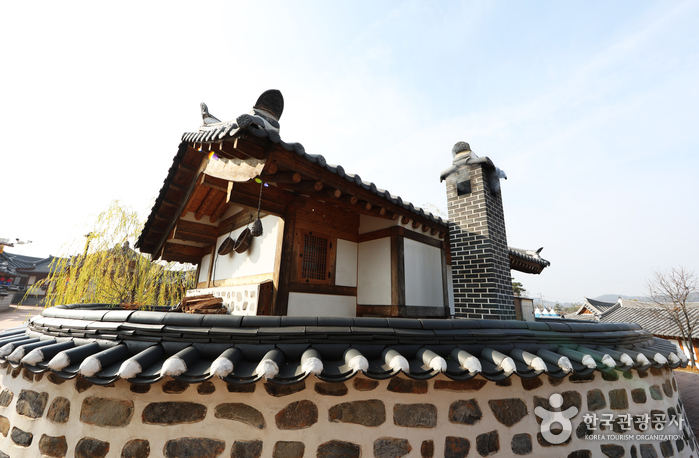 It was built with bricks like the 6th Tomb, and many national treasures were found inside, supplying scholars studying Baekje culture with precious research material. There were 108 kinds of artifacts found inside, totaling 2,906 items altogether. 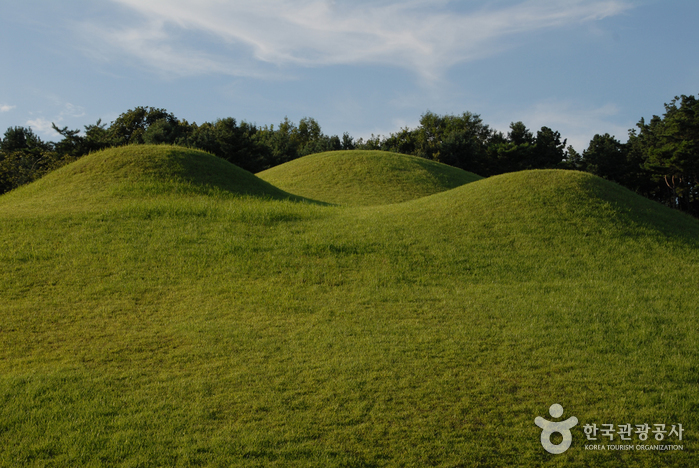 Twelve of these artifacts were designated National Treasures. 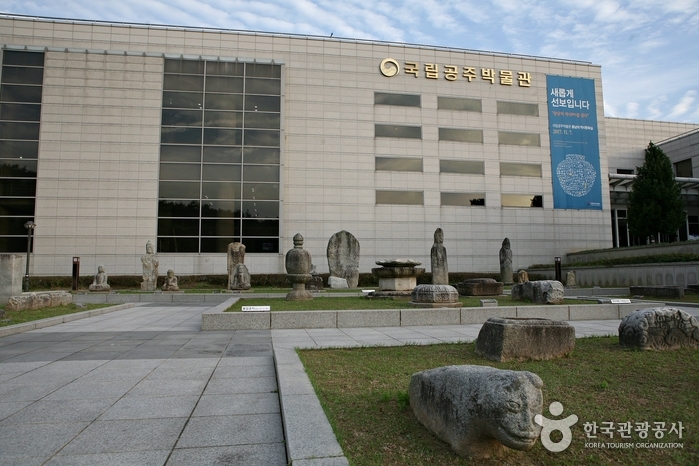 They are all on display at Gongju National Museum. 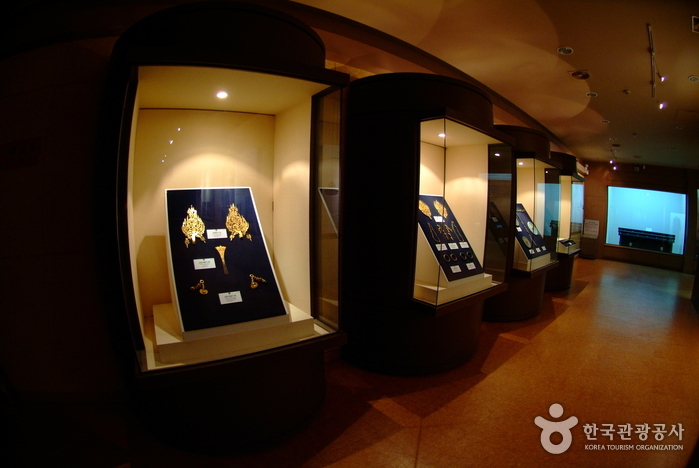 Some of the representative treasures are the crowns worn by the king and the queen, gold decorations for the crowns, gold earrings, necklaces, bronze mirrors, pillows, and foot rests. 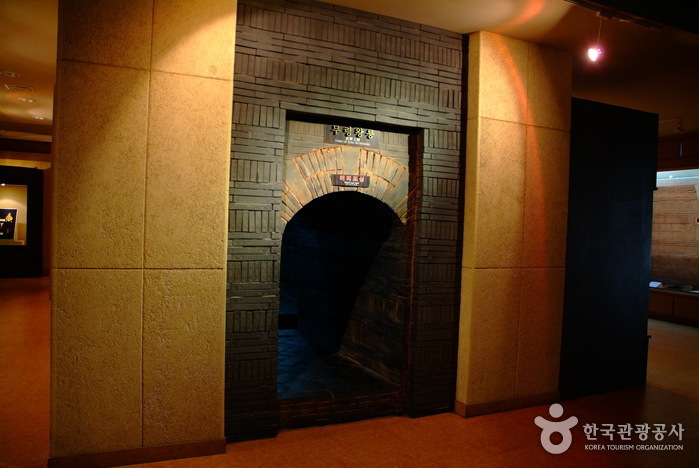 Recently the tomb was permanently sealed off to protect the treasures. 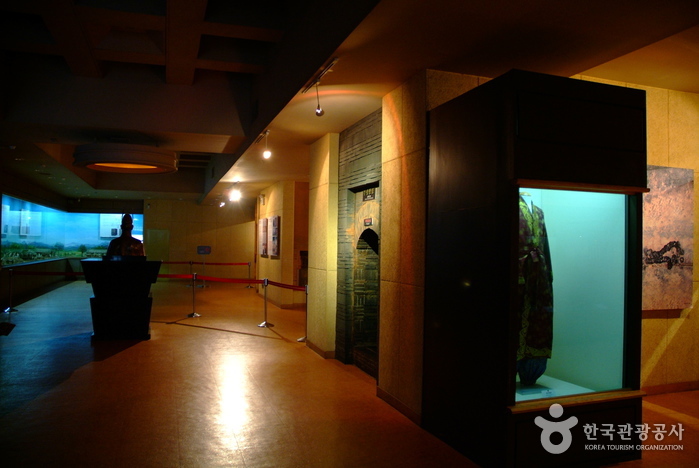 However, you can look at the duplicate of the original in the basement of the Gobungun Building. 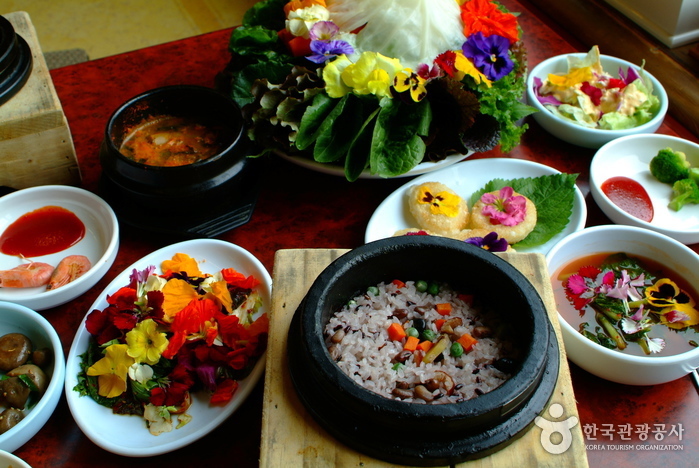 From Central City Bus Terminal, take an express bus to Gongju Bus Terminal. 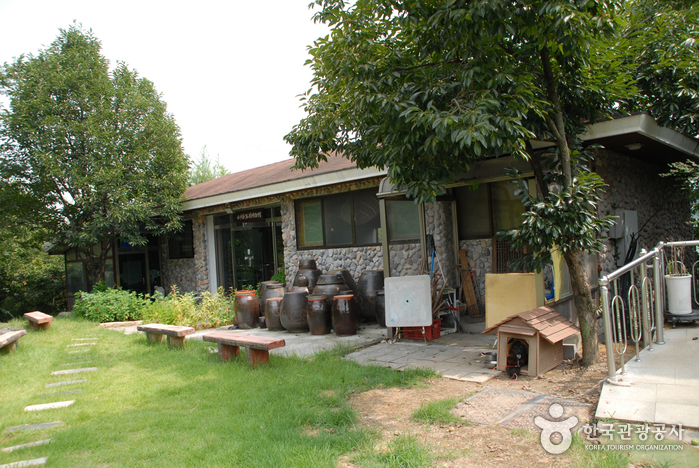 - From the Gongju Bus Terminal Bus Stop, take Bus No. 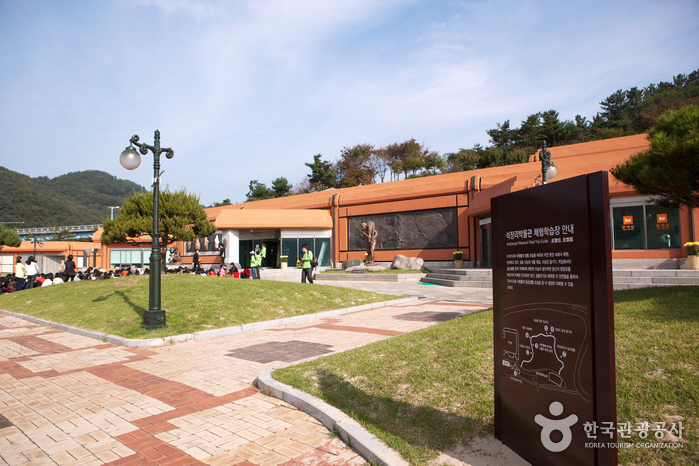 101 and get off at Gongju Art & Culture Center (공주문예회관) Bus Stop. - Walk back and follow the road to the left. The entrance is ahead on the right.